1. The 21st Century−Era of Environment and Creation. Manufacturing activities in this global era has brought a significant impact on the global environment. Pollutions and abnormal climate changes have been observed more often than ever. With the advance of Southeast Asian countries including China, such impact will be more evident. Now, manufacturing industry worldwide starts to look back the past. 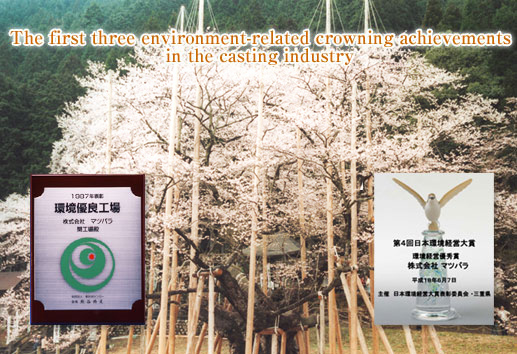 "Japan Quality" has been recognized in global markets owing to the world-class resources e.g. beautiful nature, infrastructure and human skills, which generate the power for technology, R/D, kaizen and innovation. 3. SMEs−The Leading Players of Japanese Economy. Economic recovery seemingly initiated by large enterprises has always been backed up by small and medium size enterprises (SMEs), which account for 99.7% of companies nationwide, in order to thrive in the global market. Manufacturing power of SMEs will create a future for Japanese economy.